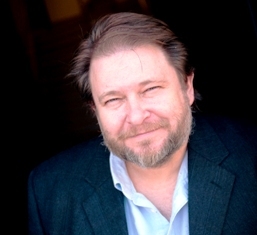 Purchase your tickets for An Evening with Harper Lee Award Winner Rick Bragg in support of the Alabama Writers’ Forum on Tuesday, June 21, from 7-9 p.m. at Centennial Hall on the Faulkner State Community College campus in Fairhope, Alabama. Tickets are $10 for general admission. One of Alabama’s most beloved storytellers and richly decorated writers, Bragg will entertain the audience by reading from his work and telling the stories for which he is so well known. "We live in a state with one of the richest literary traditions in the country,” said Bragg. “Good writers seem to grow from the very dirt here, but often for them to succeed, for their beautiful words to be heard, there has to be an apparatus that aids them, encourages them, gives them a platform or at the very least shines a light on their work. “We need to gather, we need to encourage each other and the generations that will come after us. I don't know what kind of legacy I will leave when my writing life is over, but I know it will be made richer by the people who have supported and encouraged me in my own state.